Liberty City native Robert Battle currently serves as the Artistic Director of the Alvin Ailey Dance Theater. Battle spoke with NBC 6's Joan Strader about his childhood and his rise to the top. 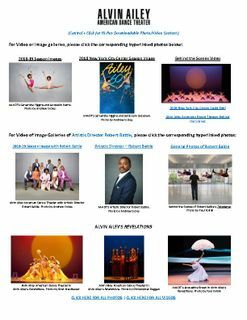 (WSVN) - The famous Alvin Ailey American Dance Theater is performing at the Adrienne Arsht Center for the Performing Arts in South Florida. The company's artistic director grew up in Miami and while he's in town, he is taking time to step off the stage and into the classroom. Fox 7's Craig Stevens shows us how he's making "All The Right Moves." New York City may be where he lives, but Miami will forever be home for Robert Battle, the artistic director for the Alvin Ailey Dance Theater. Dancer and choreographer Alvin Ailey gathered a handful of modern black dancers in 1958 to perform with him at New York’s 92nd Street YM-YWHA. It was here that the Alvin Ailey American Dance Theater, as well as Ailey’s vision for a more inclusive world of the art form, was born. Since then, the Alvin Ailey American Dance Theater has grown to include 32 dancers who have gone on to perform more than 235 works for an estimated 25 million people across six continents. This season, the dance company celebrates its 60th anniversary. 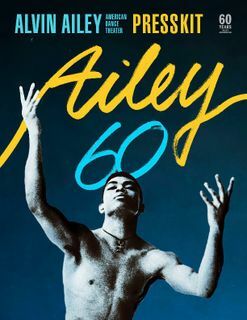 In 1958, dancer and choreographer Alvin Ailey created a home for dancers to explore identity and self-expression through their art and the dance theater remains a culture institution. ABC's Zachary Kiesch goes behind the scenes of Ailey's 60th and the creation of Lazarus, the Company's first ever two act ballet by hip hop choreographer Rennie Harris. We celebrate the 60th anniversary of the Alvin Ailey Dance Theater, a jewel in Manhattan’s artistic crown. As a master choreographer, Rennie Harris knows a thing or two about himself. He doesn't gravitate toward making works about a particular topic. And he doesn't plan his dances in advance. "The movement tells you what the piece is going to be," said Mr. Harris, a Philadelphia native who has deftly Brough hip-hop and street dance to the concert stage. "You close your eyes and see if you feel something. Maybe it's music - or maybe you've read something and a story starts to unfold in your head. That's what I often look for: That story. You create the movement and all of a sudden as they're doing it, you see the next movement."